I admit not being a regular attendee of Christian services. I was raised Catholic, and the disillusionment of discovering—on my own—the depth of commitment to false doctrine in that faith caused me to move on. Truth is what I craved. Bits and pieces of it surround us, pointing to the state of actuality our God wishes to display in His progressive revelation. To see it, one needs to look, so I did. I was, at the time, studying martial arts, and Eastern philosophy often is dominant there. Buddhism struck me as more of a philosophy, and the Zen flavor as practiced in Japan seemed an unworkable perspective of denial. The image of Christ heading the sanctuary in every Catholic parish stuck with me, sanitized as the portrayal of the Crucifixion might be. From childhood I grasped its significance, and in my wandering my exposure to that basic truth—that the events relayed in the New Testament happened, and that the implications thereof are profound—never did entirely let me go. Precept by precept I defined what I believed, tested those interrelationally, and remain satisfied the mission of Christ was actual, necessary, and personally needed. Step by step, my faith became R.E.A.L. I Realized my need, Explored for truth, Accepted God’s gift of forgiveness and now Live what I believe. Salvation is a simple message, really; it is so simple, a child can understand it. Its basics are all we need. What accumulates after is doctrine: the good, bad, and cumbersome. Because we need salvation, some, driven by fear or guilt, are desperate to have the assurance of it. Fear and faith are incompatible emotions. Of the two, opportunists leverage fear in exploitation. I attend services to assuage the Editress or humor friends as politeness requires, and on this last occasion encountered just such a pastor, who I will not name here. I will not attending there again, as my exposure to the man leaves me with a vision of him at home, masturbating to a photo of a popular mega-church icon. One must belong to a church to live as a Christian, you see. One must undergo baptism to belong to a church. One must tithe in support of one’s pastor. One must help the church grow so the cycle may repeat. The message with this organization is consistent, and tiring, when faith would like to hear less of obligation and more of divine love, saving grace, and the sufficiency of Christ. While there is a Cross in each of the two locations of this growing organization I have attended, I find it significant that it displays off to the side of the sanctuary, almost as an afterthought. The messaging area is what holds prominence. When someone tells you who he is, you should listen. Discernment, that gift of the Spirit, allows a faithful person to see others from the inside out. Followers need leaders, I guess. It is a pity that sometimes one encounters ambition in the search for edification. As for belonging to a church, congratulations: you have belonged to one since you accepted Christ as your savior and received Him into your heart. No one else did that. He did that, Paul tells us, so that no one should boast. Paul also made a point that he had baptized no one but two disciples of his own and another household. The testimony of ceremonial water baptism is a beautiful thing. You should undertake it, if at all, on that basis rather than under coercion or sense of obligation. Likewise, giving is evidence of how you live. There is no biblical obligation to allocate a given percentage to any organization, particularly when your own books have not balanced first. Your greatest contribution can be the satisfaction that you are a burden or debtor to no one. Following that happy circumstance, give as much as you wish. Testify to what Christ has done for your soul out of the vital choice to love. Your faith will leave you no choice but to see the desperate need for clarity in the world surrounding you. God’s enemy is using pain, fear, and desperation to propagate disorder and hopelessness, in which the plans he influences will prosper for a time of trouble. These days are necessary in God’s plan, as were every bad period for Israel, her diasporas, even the Holocaust. The world needs Christianity’s message as much here at the end of the Age of the Church as it did in the first century, and for the same reasons. Our need to find Him, the nature of truth, forgiveness, and the benefits of faith have changed not at all. My character Jon Anthony spoke of his personal method of understanding being reduction to essence, where matters of faith become simpler when better understood. Such a mindset might not lend itself to achievement or ambition, but there is the peace of valid faith and a worthwhile way of life waiting for those who embrace it. It is my hope you will. If Jon’s, Sean’s, or Boone’s stories can help you, so much the better. 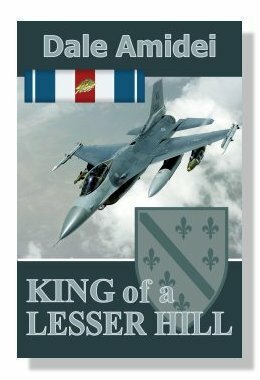 In production news, Novel8/Sean3, King of a Lesser Hill, is approaching the ninety-percent mark in Main Edit and remains on schedule for a late September release. Next month’s post here, God willing, will present how writing the novel personally affected me, and how this story, set in 1995, remains relevant today.